The Chinese government is reportedly developing a fleet of robo-birds to spy on its population.Already more than 30 military and official agencies have used the technology on the field. An anonymous source told local newspaper, about the details of this spine-chilling new technology which has supposedly been used for years now. While most spy drones use rotor blades, these actually imitate the flapping motion of a bird’s wings to manoeuvre in the air, in motions that supposedly replicate a real animal.The machines are said to be so lifelike and so noiseless, that when the government tested one by flying it above a flock of sheep in inner Mongolia, the notoriously skittish creatures didn’t bat an eye. Code-named “Dove”, the mind-boggling drone programme is being led by Song Bifeng, a professor at Northwestern Polytechnical University in Xian.Song Bifeng, who also worked on China’s J-20 stealth fighter jets has already been honoured by the military for his contribution to the drone initiative. 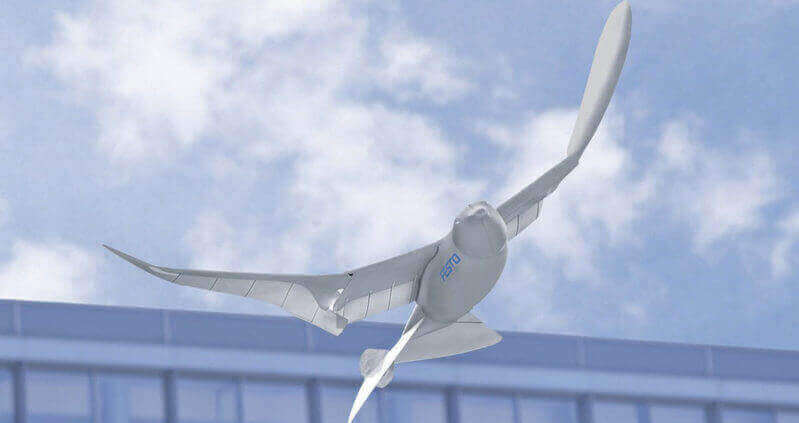 These robotic birds have a wingspan of around 50 centimetres, weigh 200 grams and are able to fly at speeds of up to 40km per hour for a maximum of 30 minutes.Each one of these spy drones is equipped with an HD camera, GPS and satellite communication ability. In an interview with the Chinese academic journal, Aeronautical Manufacturing Technology last April, Song confirmed that “Dove” had been deployed in Xinjiang and other provinces.“The products … have stimulated change and development in sectors including environmental protection, land planning … and border patrol,” he said. Song says his artificial birds can still be improved.They can’t maintain their “flight” under heavy winds and are unable to travel long distances.Their circuitry is vulnerable to electromagnetic disturbances and doesn’t feature anti-collision systems to prevent them from crashing at low altitude. All caveats will be solved with advancements in AI according to Song. Which quite frankly, is an announcement as impressive as it is terrifying.In the near future, the Doves would be able to “match or surpass the intelligence of creatures found in nature”, he said. According to Souh China Morning Post‘s informant, the technology has been extensively used in the far Western autonomous region of Xinjiang Uygur.The huge area which accommodates a large Muslim population has been considered for long by the central government as an epicentre for separatist groups, making it the obvious first target for heavy surveillance. What with other implementations such as Terminator-style glasses and their controversial social credit system, these robo birds are yet another step in making China the frightening regime George Orwell always warned us about.